Club Penguin Cheats by Mimo777 Club Penguin Cheats by Mimo777: Club Penguin: Behind the Scenes! Saweet! Did you see that? Do you recognize this crab? a man you saw it too mimo did you also see the screen before that operation blackout part? Great! Now we know there IS a new mission coming out. Sweet! Hey Mimo!You know the catalog cheat to get the Regal Chair? When when you try to buy it it shows the Medieval banner!If you Yes it says it's not available! Uh, they misspelled his name. They called him Lane. AWESOME! Adam's fav game is LEGO and so is mine! And My name is Russ! And he is one of the programmers sweet! Awesome! hmmmm that crab looks like Klutzy, and there making him in 3D... could this mean we'll be able to.. MEET Klutzy? YEP! Billybob is the director. See the end. I think so lol. 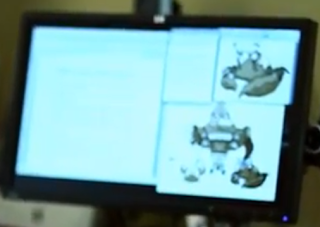 In the beginning, on the top left corner it says something in code. It translates to "If you can read this you have really great eyesight." LOL! 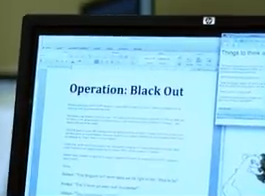 At the Operation Blackout piece of paper showed up. I saw the font and it was a script. This thankfully is in fact a mission.